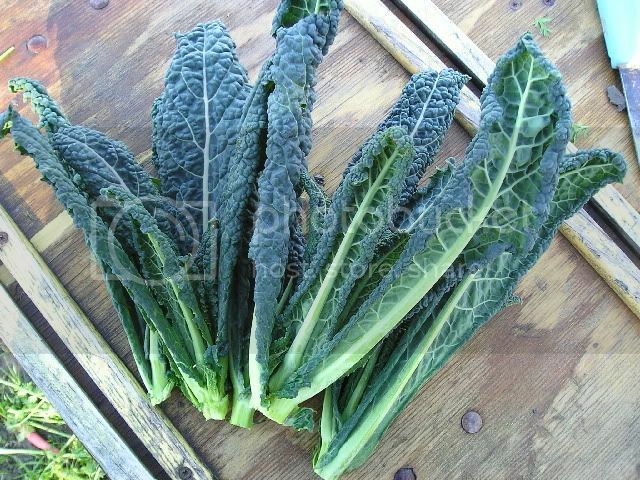 Kale is a nutritious vegetable and is considered to be a form of cabbage. It can be green or purple and is a rich source of calcium, beta-carotene and vitamins. Like broccoli kale contains sulforaphane, which is believed to have anti-cancer properties. Kale chips are a popular and very nutritional snack and if you happen to have kale sitting in your garden, fridge or freezer and you are not sure what to do with all of it you can always dehydrate your kale. Dehydrating kale or any other collard greens is a relatively easy process and can be done in your very own kitchen using a dehydrator or the oven. Get some kale from your garden, fridge or freezer and using a knife, trim the stems. Now separate the leaves from the thick parts of the stems by cutting or tearing the leaves away. Keep the stems, which can be used in soups or eaten as is. Wash the leaves in cold water and allow to drain for a bit. If you are using a dehydrator, take the drained leaves and spread them out in a single layer on the trays. To remove any excess moisture wipe the bottom of the trays with a cloth. Set the dehydrator to 105 degrees and dry the leaves until they become crispy. The drying process with a dehydrator will take approximately 6 hours. Once dry, store your dried kale leaves in an airtight container or crumble the leaves and store them in airtight plastic bags to be used later in soups. If you do not have a dehydrator, don't worry because dehydrated kale chips can just as easily be made in the oven. Here is how: Follow the first 2 steps, but instead of using a dehydra-tor, preheat your oven to 105 degrees. It is said that food dried at lower temperatures will retain more of its vitamins and enzymes. Spread your kale leaves out on a baking or cookie plate, place in the oven and leave them there for about 4-6 hours until they are crispy. You can make great tasting kale chips when you dehydrate them with lemon juice or even honey by simply massaging the honey or lemon juice into the kale leaves and sprinkling a little bit of salt over them prior to dehydrating. The great thing about dehydrating kale and making kale chips is that not only do they taste great but it is also a certain way to up your kids' vegetable intake without them even noticing!